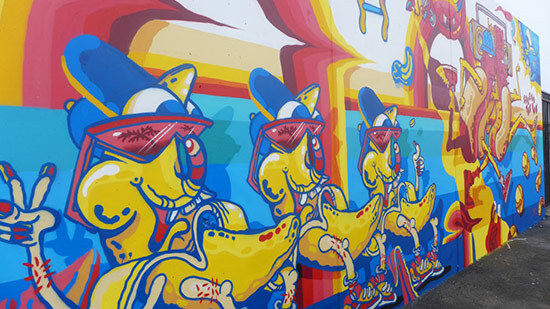 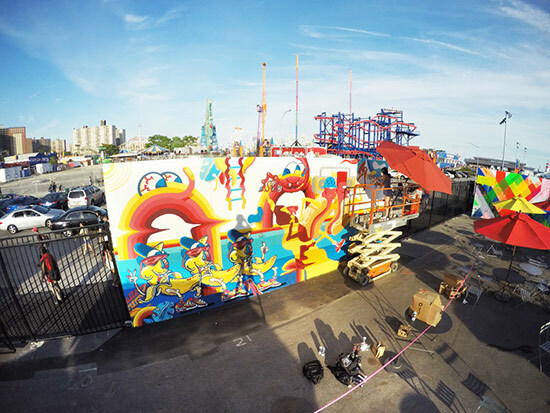 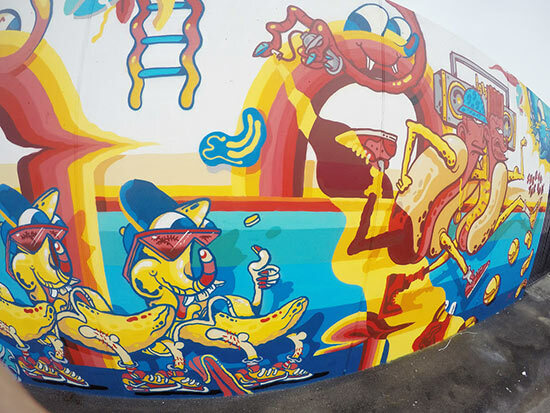 "This June we were invited by Jeffrey Deitch to participate in the Coney Island Art walls in Brooklyn NY, alongside a talented roster of artists including, Futura, Crash & How and Nosm. 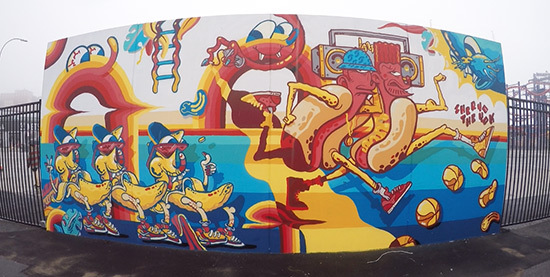 Taking influence from our surroundings and borrowing a colour palate from the roller coasters and food stands,we made this Banana split hot diggity dog wall." 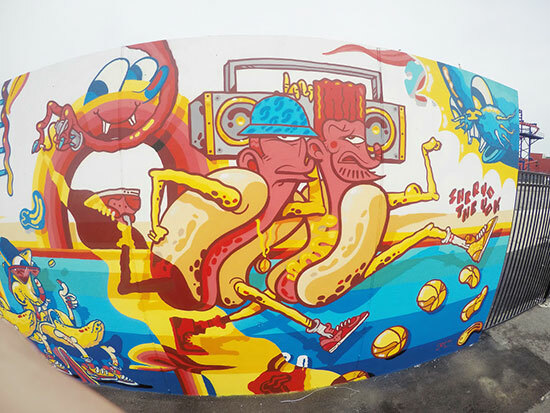 CONEY ISLAND from theyok on Vimeo.